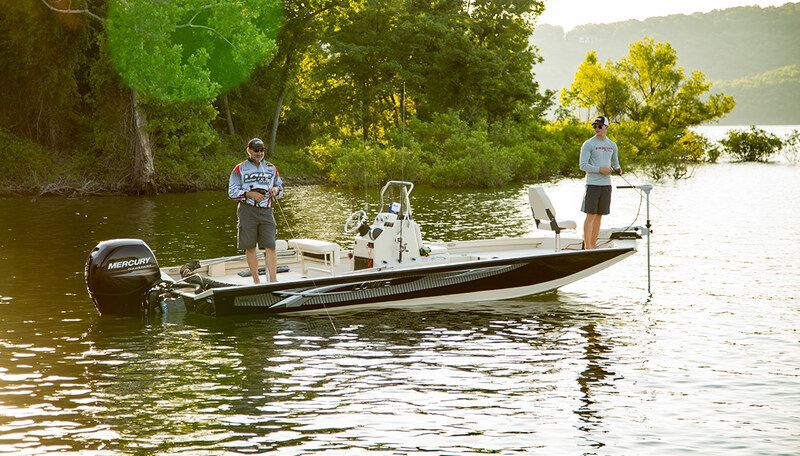 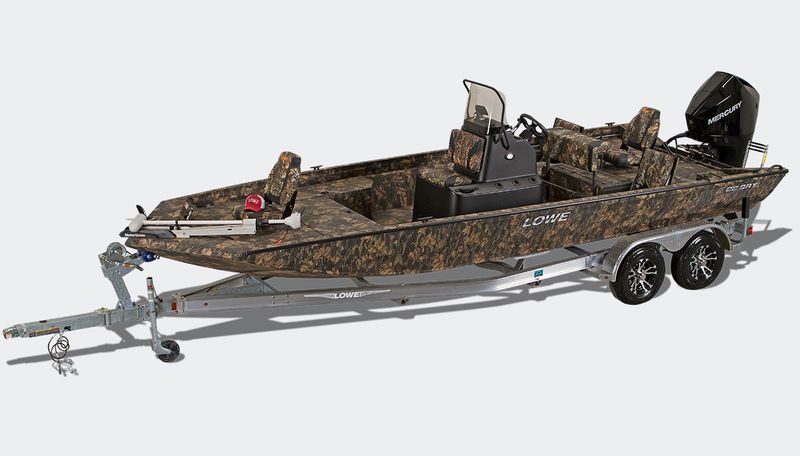 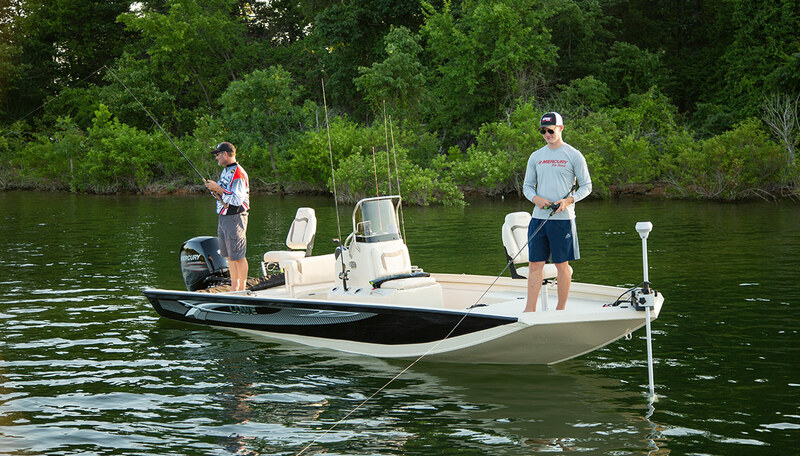 Lowe’s all-new 22 Bay can take you fishing almost anywhere your expedition takes you. 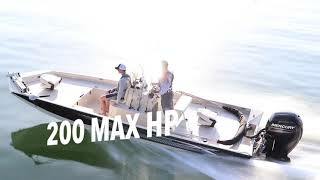 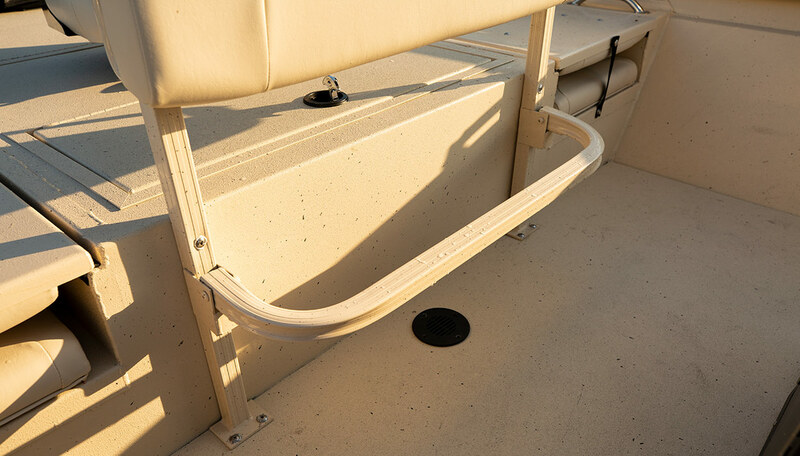 Its modified V-hull can get through shallow water while handling bigger waves and provides an enormous platform for targeting everything from muskies to catfish in fresh water; snook to sharks in salt. 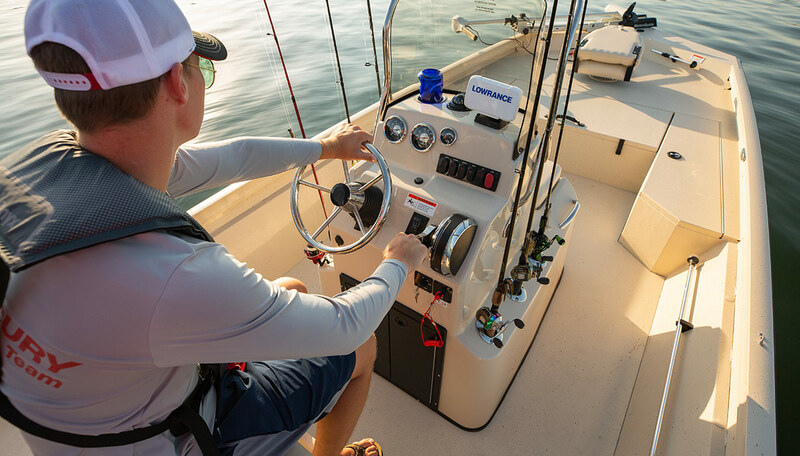 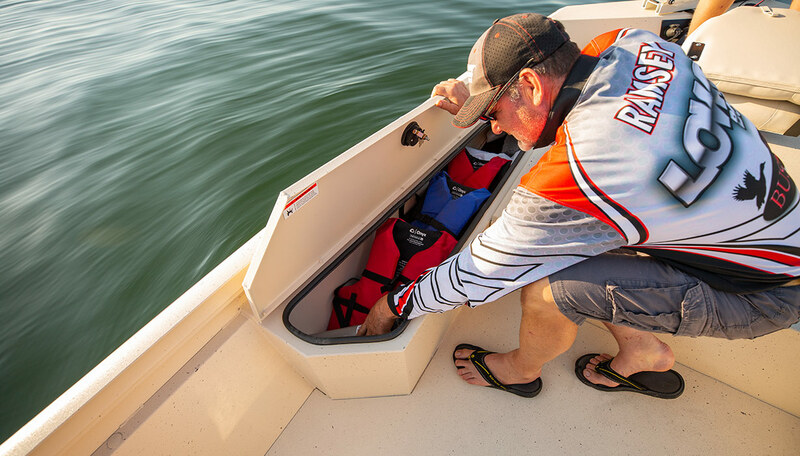 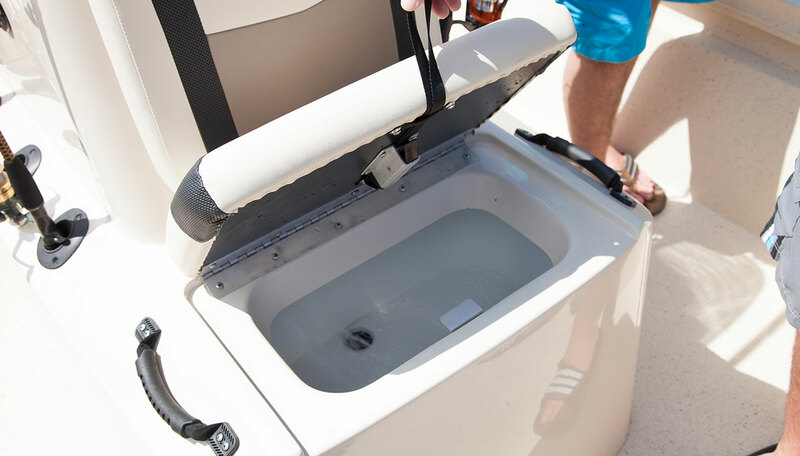 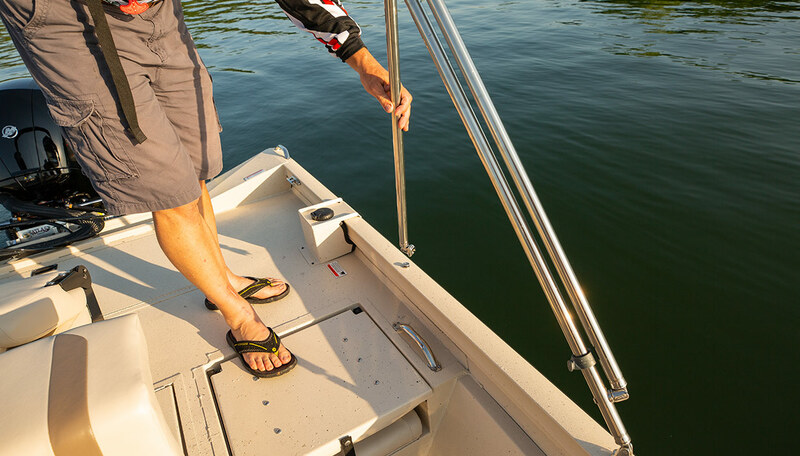 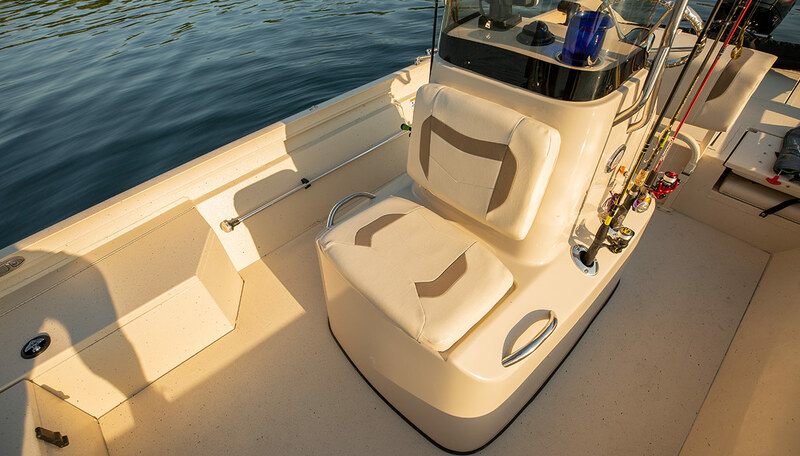 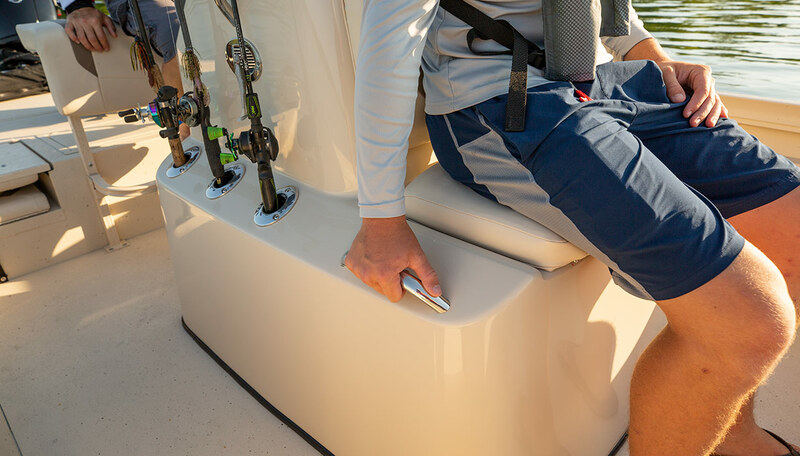 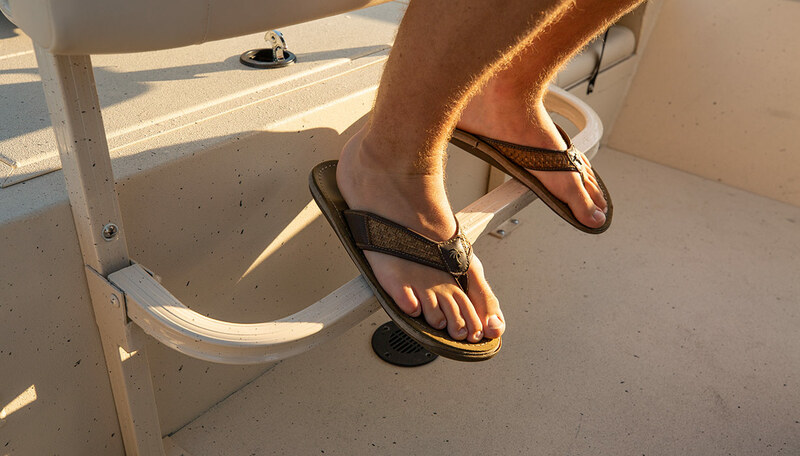 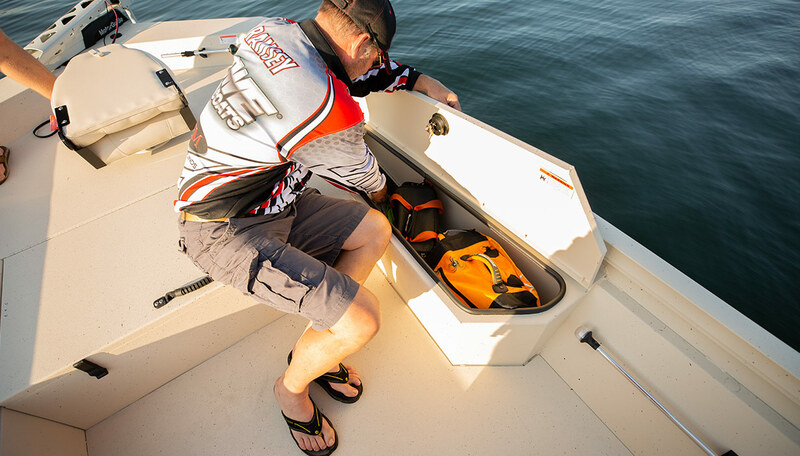 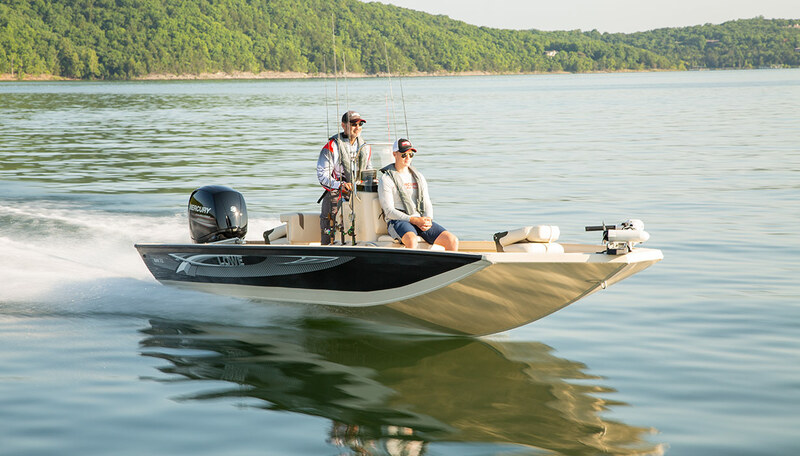 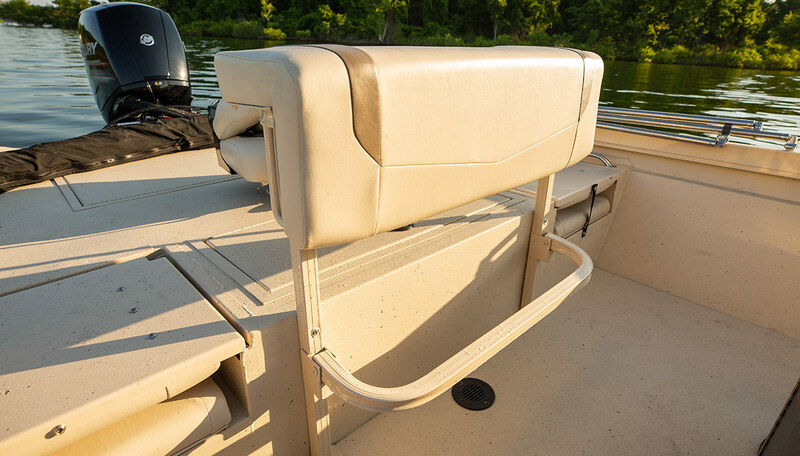 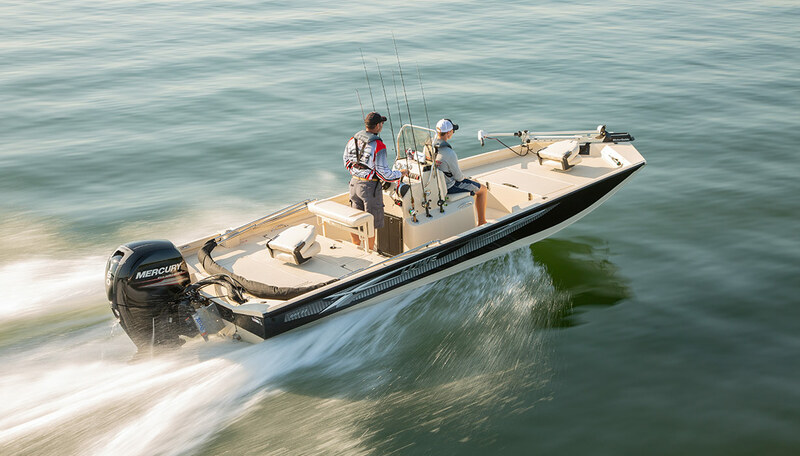 Drive in comfort with a standing bird’s eye view from the Bay’s center console to better spot shallow hazards when running through skinny water. 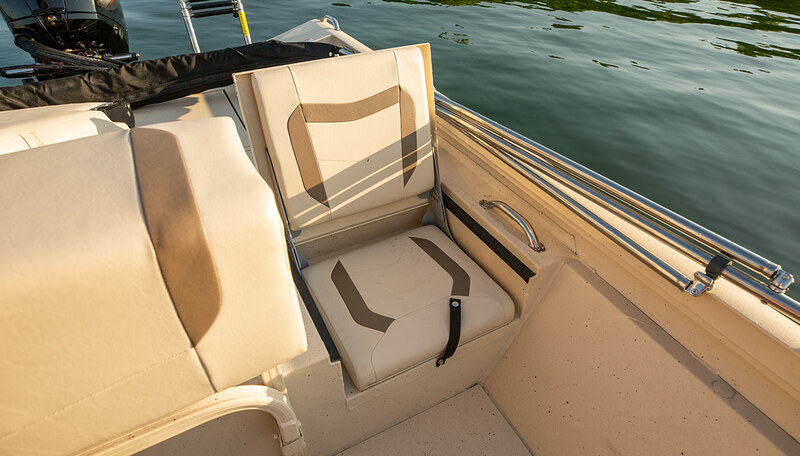 Its padded leaning post with footrest provides a high, comfortable perch. 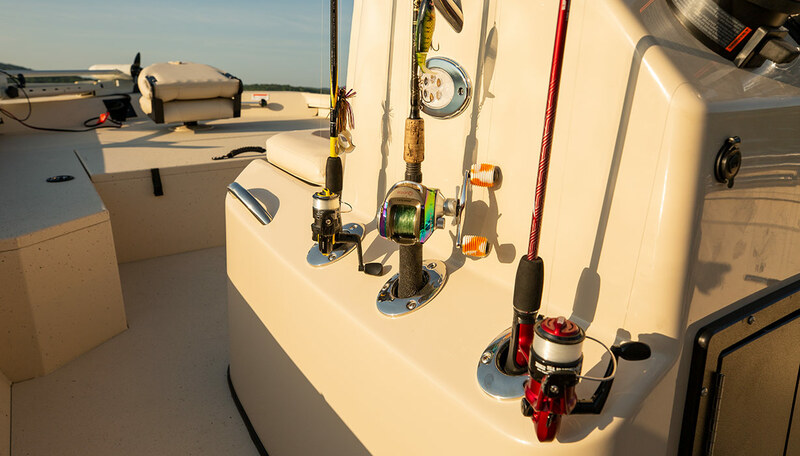 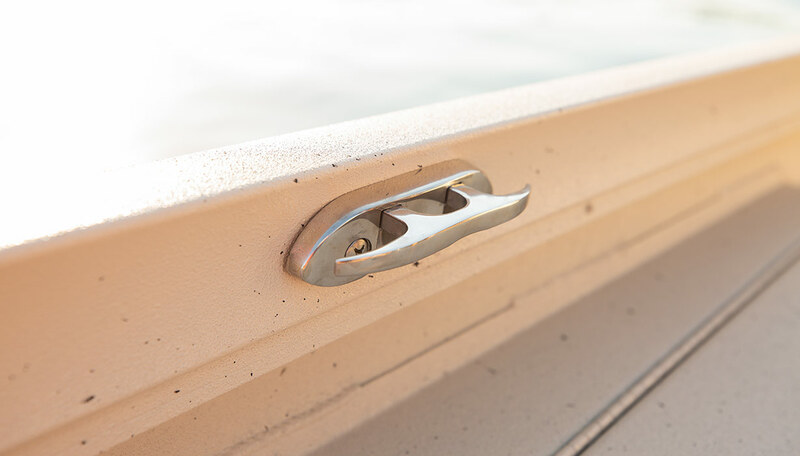 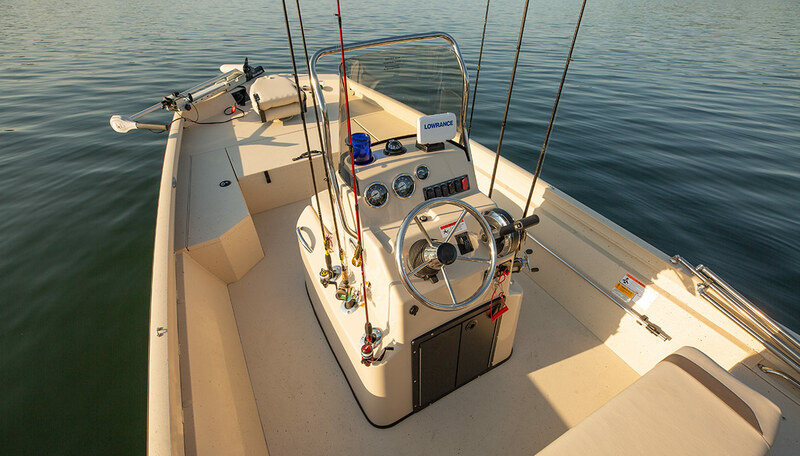 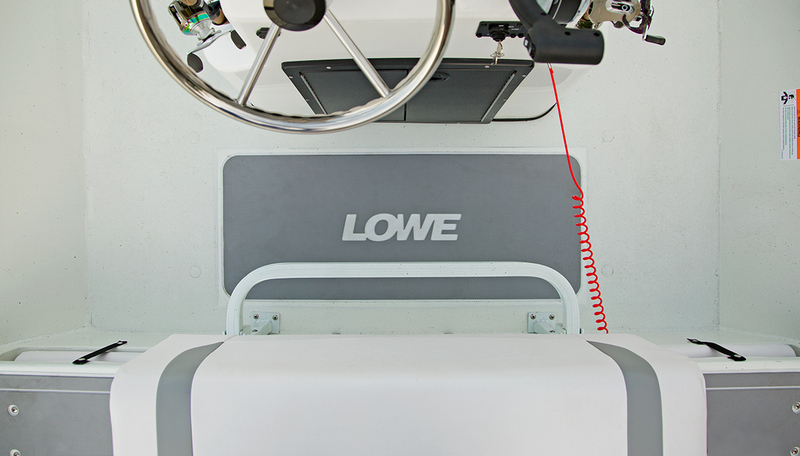 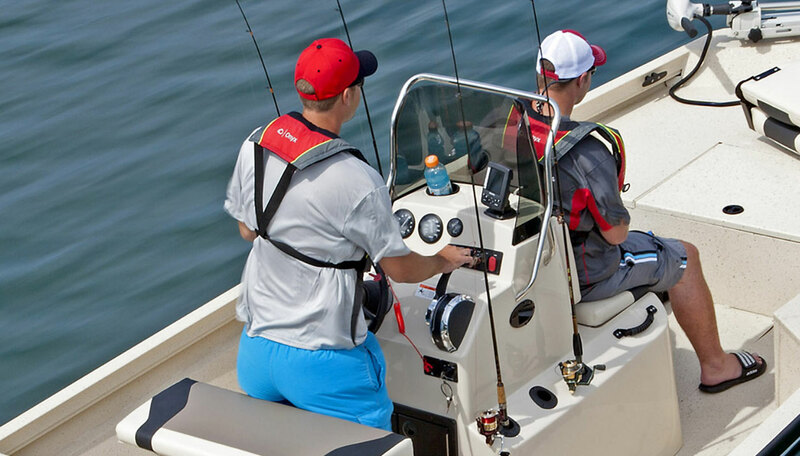 A Lowrance Hook2 fishfinder, windshield and chrome analog gauges adorn the aluminum boat’s fiberglass console. 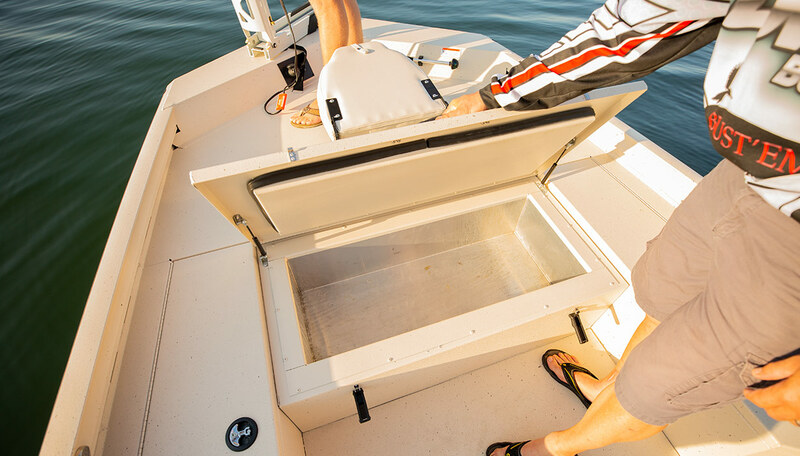 Ice down your catch in the massive 8-cubic-foot insulated cooler/dry storage area built right into the front deck. 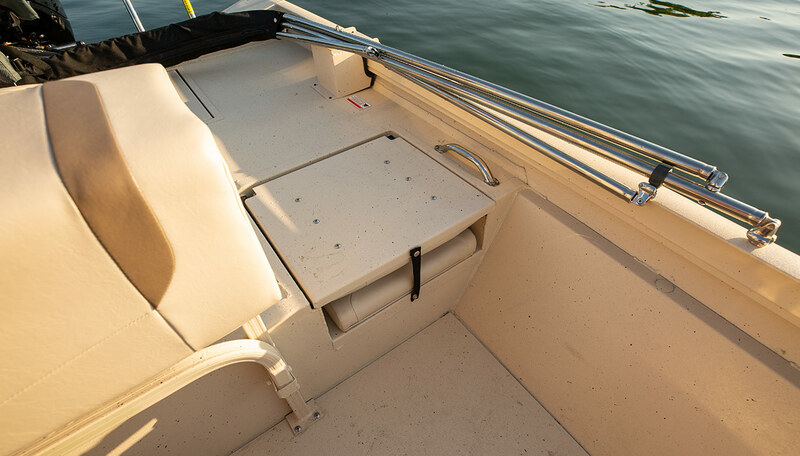 For you serious anglers, a jack plate with Power Poles is available, factory installed. 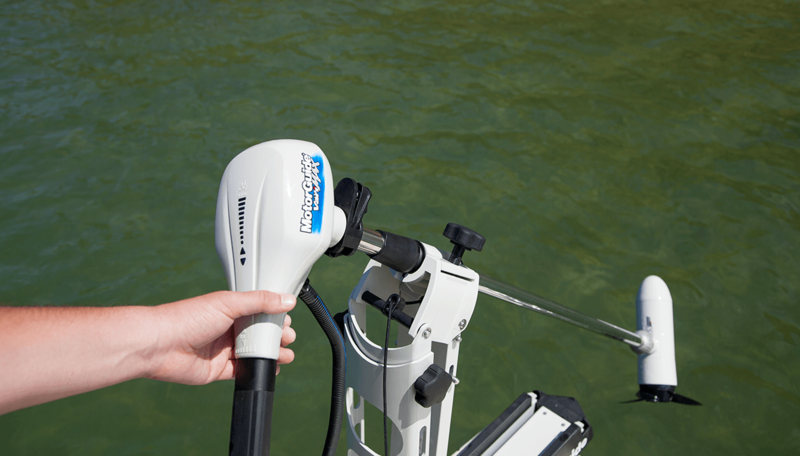 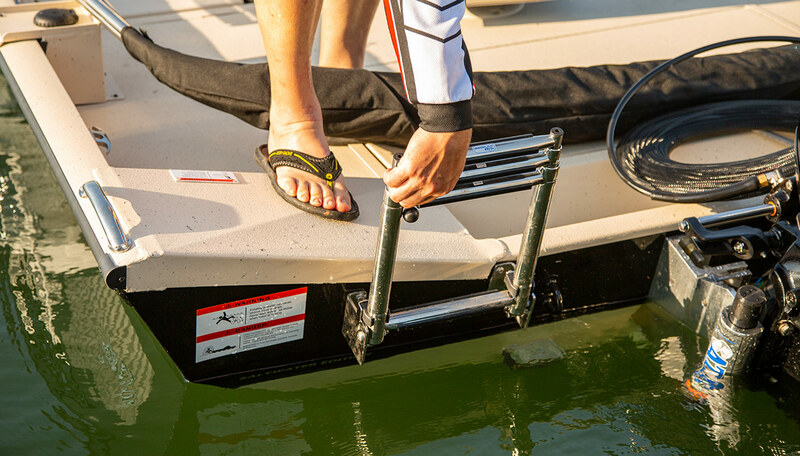 The jack plate helps achieve maximum performance in super shallow water while Power Pole shallow-water anchors quickly stick into the bottom to keep you catching ‘em at the hot spot. 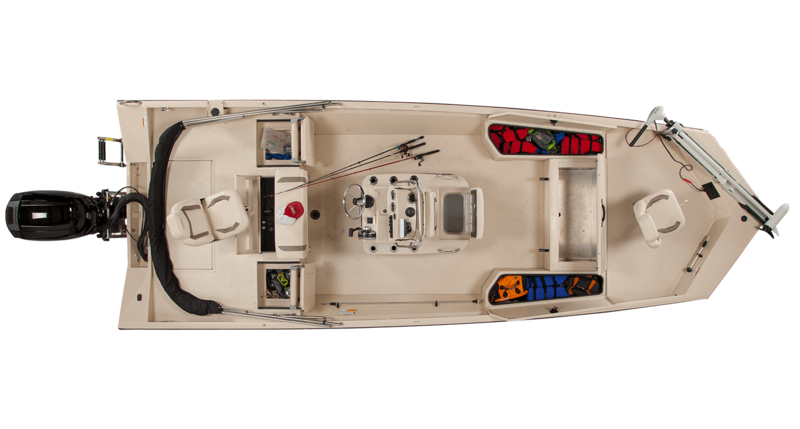 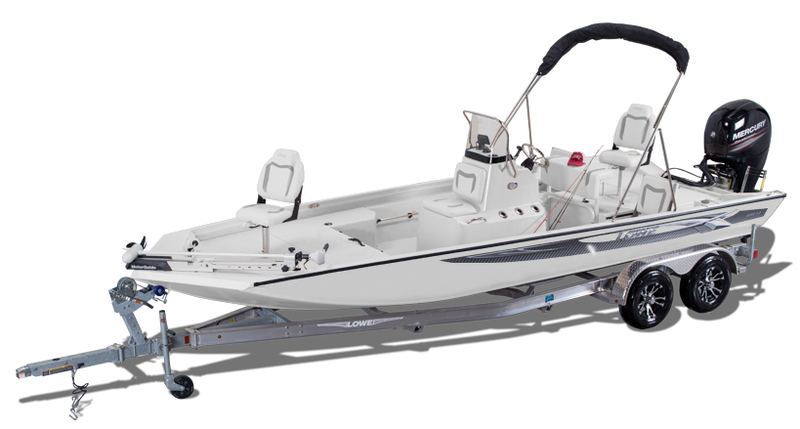 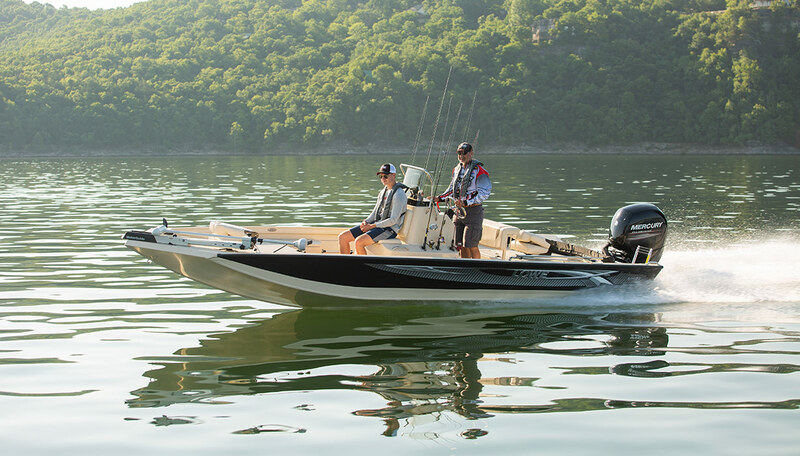 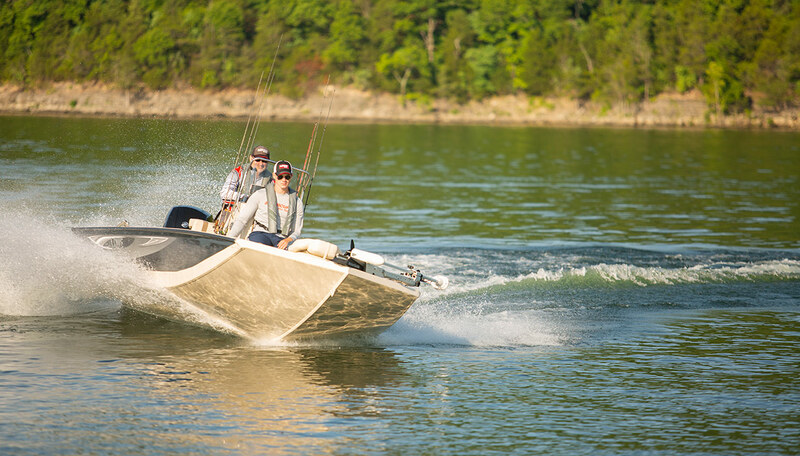 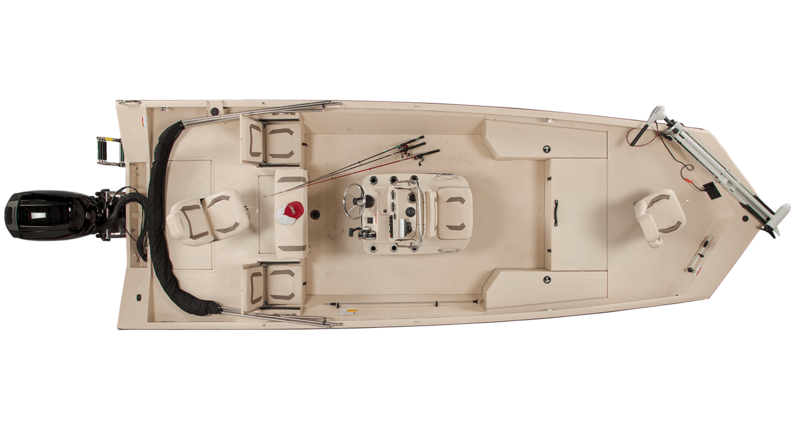 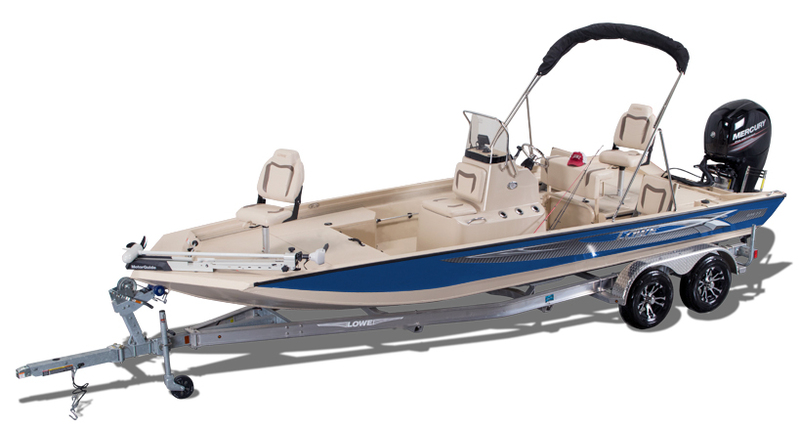 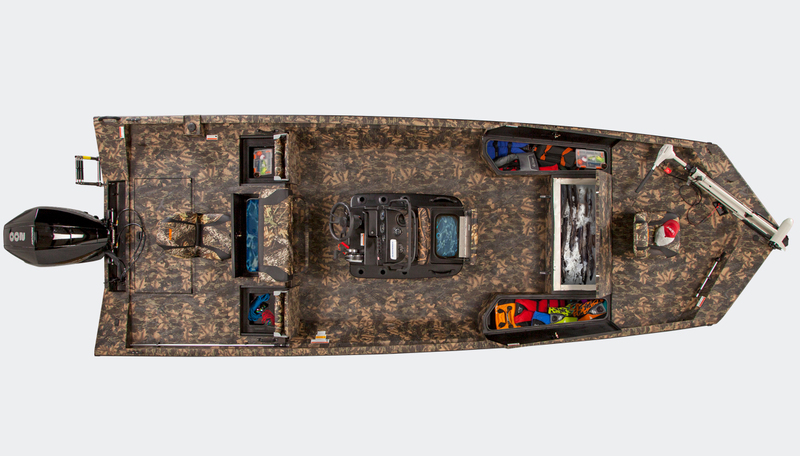 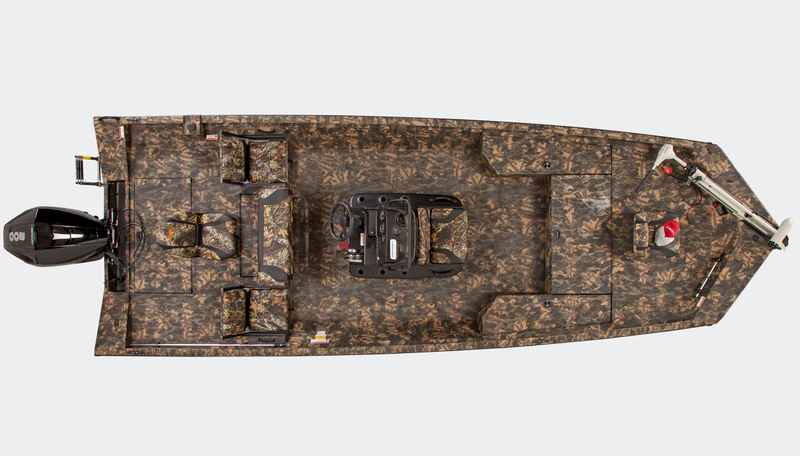 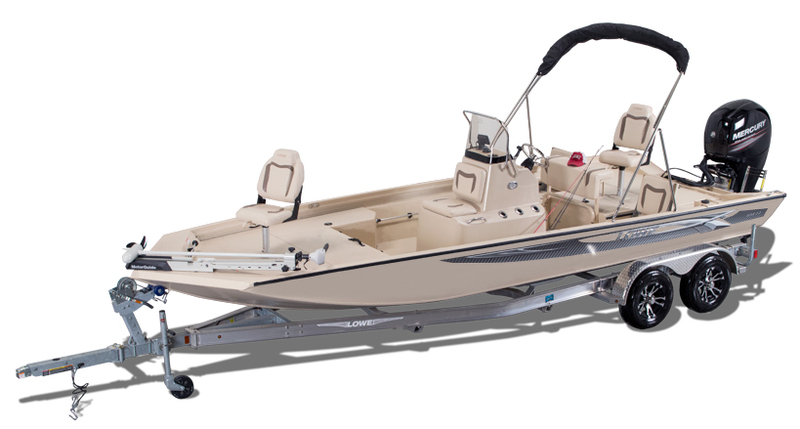 Get all the fishing features and space you demand in the new rugged 22 bay boat.